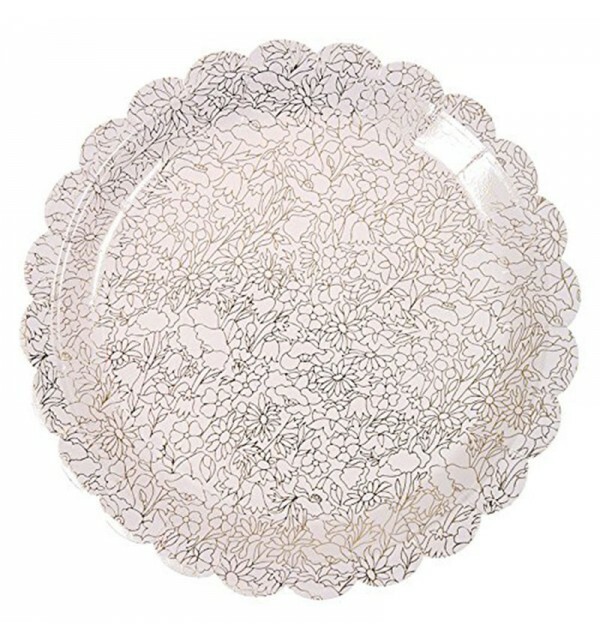 These beautiful party plates are decorated with a classic stylized flowers pattern embellished with gold foil and finished with scalloped edge. Comes as a set of 8 plates. Matching napkins, salad/dessert plates and coordinated cups available.